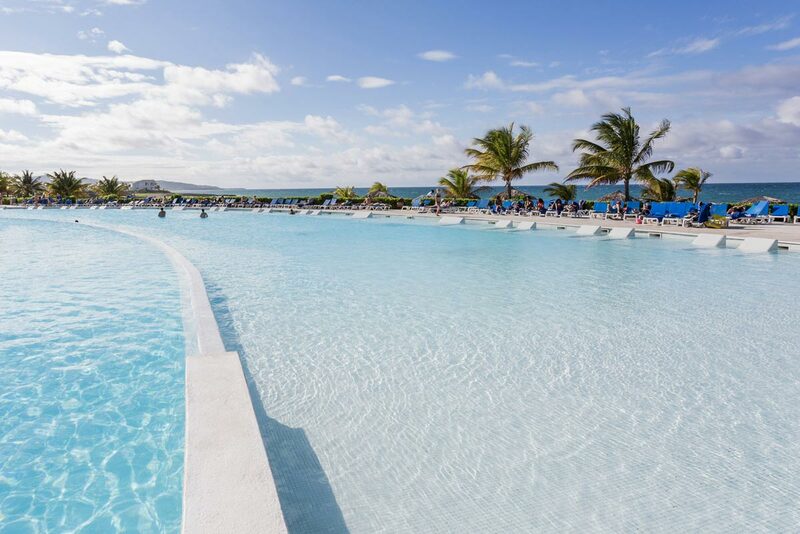 The modern design and luxury facilities of a first class hotel are in perfect harmony with the attractive natural surroundings characterized by the turquoise blue sea and the relief of the landscapes. 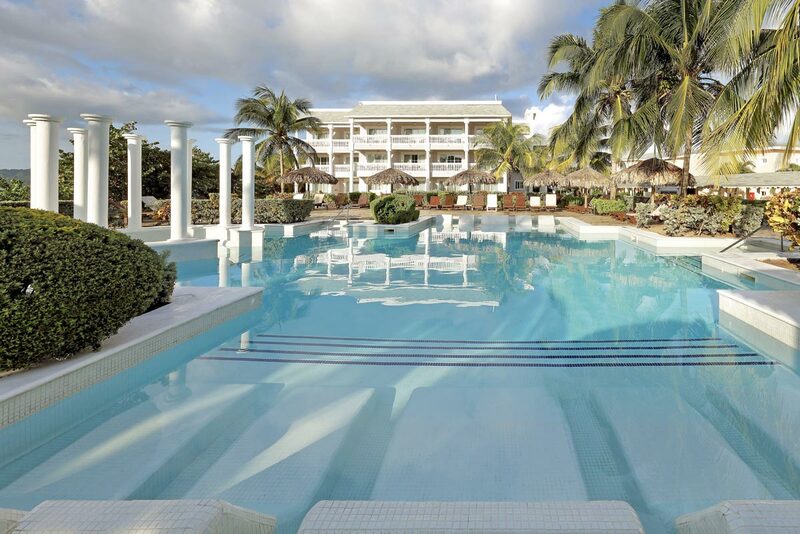 The Grand Palladium Jamaica Resort & Spa consist of a total of 540 rooms distributed into 15 villas of three levels each with 6 one bedroom Suites and 30 Jr. Suites per villa. All Junior suites feature hydro-massage bathtubs for superior comfort and relaxation! 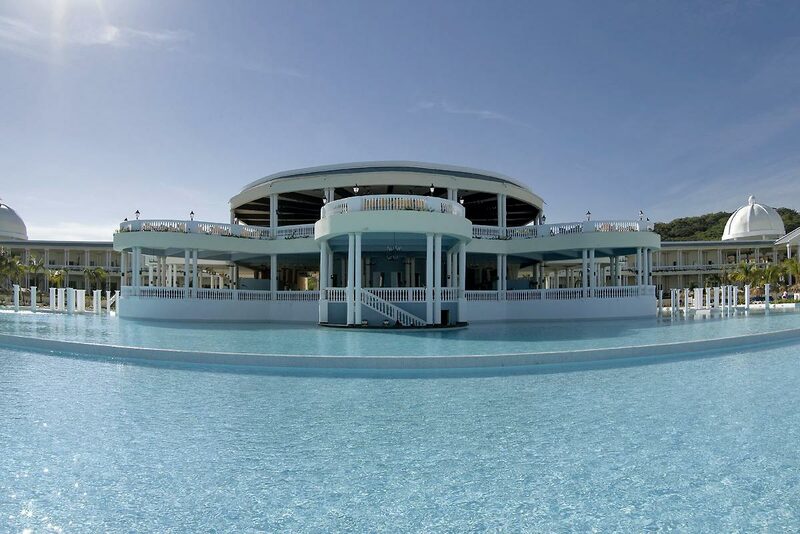 The Grand Palladium Jamaica Resort & Spa has at the disposal of our clients the most spectacular and modern SPA which is NOW OPEN! Our clients are offered a wide variety of therapies such as Spa massages, facial and corporal treatments and defoliation ($). You'll never be hungry at the Grand Palladium Resort and Spa. Have breakfast and lunch in one of the three buffet style restaurants and dinner featuring buffet or in one of the 5 theme restaurants with a la carte service. Men must wear long pants in the A la carte restaurants. Honeymoon Bonus: Complimentary gifts in room upon arrival, free room upgrade subject to availability , King size Bed subject to availability, late checkout, one additional voucher for romantic A-la-Carte Dinner. (Max. two months from actual date of marriage, certificate to be presented at check-in).